We are all genuine pet lovers and experts operating a small independent pet shop. At Pet City Pets we specialize in well-tempered healthy, locally-bred, affordable puppies… such as Yorkie-poos, Teddy Bears, Maltese-shih-tzus, Patio Pups, Labs, Australian Shepherds, and Siberian Huskies. If you don’t see a pup you like from our updated web-site… either designer breed or purebred… give us call at 734-487-0800 or email info@petcitypets.com and we can try our best. 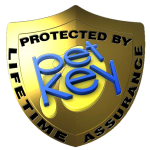 All pups are vet-checked before being sold… as well your pup gets a free vet-check within 5 days after you take him home. . We get our pups from several different reputable local breeders located in Michigan and Ohio. Not only do we have a full line of available puppies, we also have a large selection of tropical fish, reptiles and small critters…. staffed by pet experts in these fields. Of course we also carry a full line of pet supplies, including medications and vaccines.. as well as carrying these dog food brands: Victor, Nutri-Source, Diamond, Science Diet, Eukanuba, Canidae, and Blue Buffalo. If you are local to the area… come on in… no appointment is needed… you won’t be disappointed. If outside the area, please let us know what pup you are interested in: we may have more photos, and info on that pup that we can provide you. Hope to see or hear from you soon!